Is It Time For A Super Bowl Holiday? Monday Absenteeism Could Cost $3B | Page 2 | Challenger, Gray & Christmas, Inc. Recent calls for a holiday the day after the Super Bowl will not be silenced this year, as over 111 million Americans plan to watch the matchup between the Philadelphia Eagles and the New England Patriots. 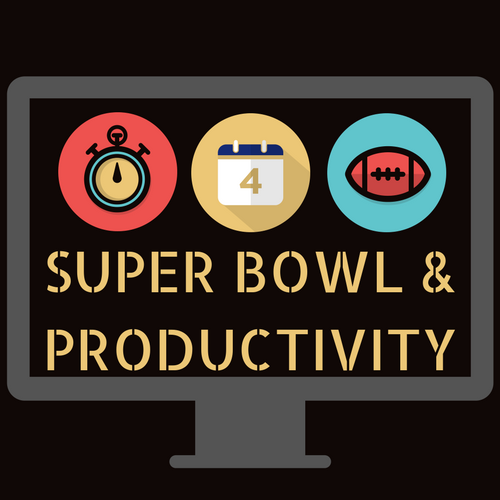 If the same number of workers expect to take the Monday after the Super Bowl off work this year as last year, it could cost employers over $3 billion in lost productivity, according to an estimate from global outplacement and executive coaching firm Challenger, Gray & Christmas, Inc.
“If all workers who watch the Super Bowl come in just one hour late or spend one hour discussing the game instead of doing work, the cost to employers could hit $1.78 billion,” said Andrew Challenger, Vice President of Challenger, Gray & Christmas, Inc.
“Another survey found 16.5 million workers plan to skip Monday altogether. Based on average hourly wages and average hours worked, the cost would be over $3 billion,” he added. Challenger estimates employers already lose over $296 million in lost productivity for every ten minutes of the workday employees spend discussing the game, watching highlights, or setting up their Super Bowl pools. A 2016 Workforce Institute by Kronos survey found that one in ten American workers, or 16.5 million, plan to miss work on Monday. New England has over 7.6 million workers, while Philadelphia boasts another 2.9 million, according to the latest data from the Bureau of Labor Statistics (BLS). If one in ten of those workers skips Monday, the cost to employers would hit $194 million. “Having a planned, nationwide holiday would likely be less disruptive to operations than large numbers of unplanned absences,” added Challenger. Regardless of whether the nation gets a Super Bowl Monday holiday or not, Challenger advises embracing worker excitement over the shared pastime. “Employers could have a Super Bowl Monday party, letting workers rehash the game together. For those who can, managers might consider allowing workers to come in later that Monday,” offered Challenger. Based on 2017 viewership. This is down from 111.9 million in 2016. Average weekly earnings for all employees on private, non-farm payrolls in December are up from $893 in 2016. With Americans working an average of 34.5 hours per week, or 6.9 hours per day, in December, average weekly earnings break down to $26.63 per hour, or $4.44 every ten minutes (Bureau of Labor Statistics). Based on 2016 Workforce Institute at Kronos poll. In other words, employers lose an average of $4.44 per employee for every ten minutes of work time wasted discussing the Super Bowl, managing office pools, planning Super Bowl parties, etc. For every ten minutes of unproductive work time ($4.44 X 66.8 million). Based on all workers coming in one hour late or wasting one hour on the game the Monday after the Super Bowl ($296.99 million X 6). Based on 6.9 hours of missed work (average weekly hours of (34.5/5) X $26.63 X 16.5 million).